1 1/4 inch OVRLAY HINGE 35MM 105 DEG These 1-1/4 in. overlay hinges offer six way adjustability. 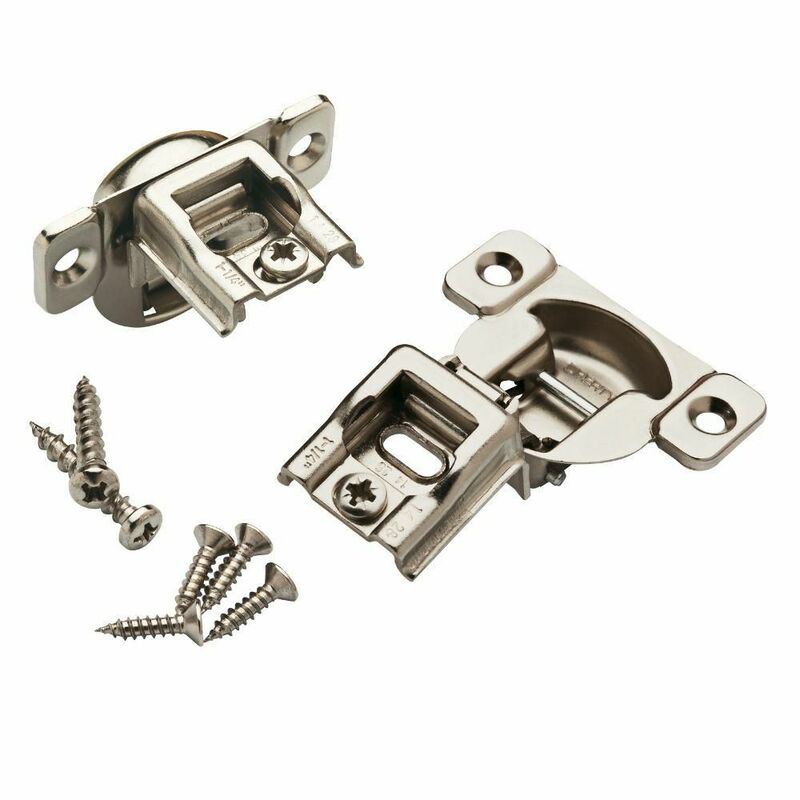 Perfect for replacements or new cabinet construction, this hinge fits many current face frame cabinets. Sold in pairs for better look and fit. 1 1/4 inch OVRLAY HINGE 35MM 105 DEG is rated 4.5 out of 5 by 8. Rated 4 out of 5 by Pwig from As Expected This was a good replacement for an imported hinge that was original to the cabinet I was repairing. Price and delivery were reasonable. Rated 4 out of 5 by Gary from Good replacement for original hinges. Good replacement for original hinges.